Comfort: Factory Air Conditioner, Heater and Defroster; Antennas and speakers for an optional radio; Fully-opening roll-down windows in doors; Ergonomically designed 60:40 split-bench seats (with adjustable driver's side on Worksite models); Hydraulic power steering eliminates steering wheel kickback increasing operator comfort; Tilt-adjustable steering wheel; Digital meter cluster to keep you informed of all critical driving conditions, including speed, hours and miles traveled, as well as an overheat alarm; Easily accessible dash-mounted parking brake; Under-seat storage compartments. 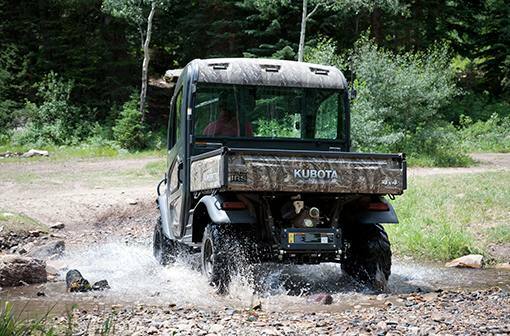 Tough: 24.8 HP Kubota Diesel Engine - Power when and where you need it. 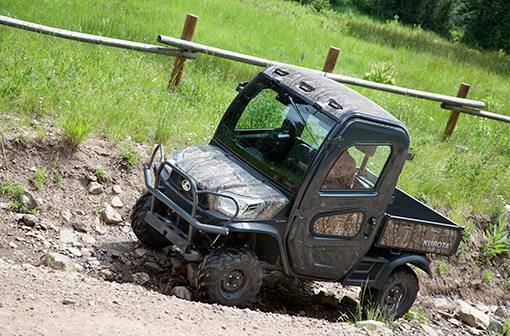 Even after the sun sets, you can rely on the RTV-X1100 powerful 24.8 HP diesel engines to keep you moving forward. Kubota-built and worksite-proven, these 3-cylinder liquid-cooled diesel engines have a well-earned reputation for dependable performance even in the harshest worksite terrains. 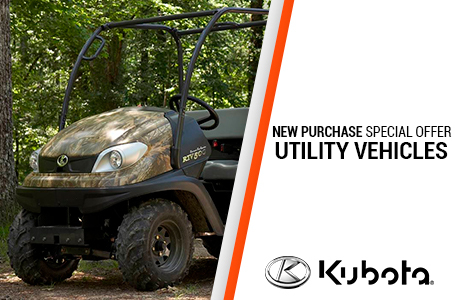 VHT-X (Variable Hydraulic Transmission) -Kubota has more experience in variable hydraulic transmissions than any other Utility Vehicle manufacturer. Kubota's advanced VHT-X offers a wide torque band, advanced designed HST motor and large oil coolers to boost durability and increase performance. 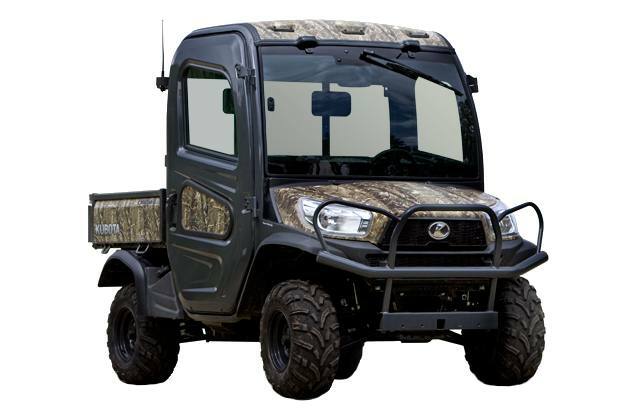 Unibody Cab & Chassis Frame (meets OSHA & SAE ROPS standards) -You'll enjoy a smoother, quieter, more comfortable ride, thanks to the RTV-X1100C's integrated unibody cab and chassis frame. They form a rigid yet lightweight unit that is rugged, airtight, low noise and rattle-free. Even more impressive, the cab meets SAE J2194 and OSHA 1928 ROPS standards. Two-Speed In-Line Shift -You'll shift less often and maintain better control, thanks to new transmission gearing with just two forward speeds (high and low), plus neutral and reverse. 20% Larger, Clog-Resistant Radiator -Open the hood and you'll find the radiator and air-intake located high and up front, where the air is cleaner and cooler. This improves both radiator performance and simplifies maintenance. Kubota's wide fin pitch design minimizes clogging, further improving radiator performance.